Take advantage of the contagious energy of these joyful giants, who come straight from a cartoon or a sci-fi film, by listening to their prophecies to the lively sound of Eastern European music. With the support of Artis Musique Bazar et Compagnie. 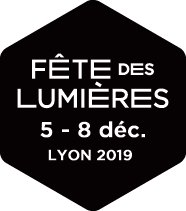 December 5 and 6: Place Guichard, from 7 p.m. to 9 p.m.
December 7 and 8: Place Mazagran, from 6 p.m. to 7:30 p.m.